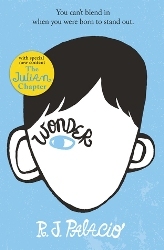 I’m currently reading Wonder by R.J. Palacio and really enjoying it so far. I can’t believe I’ve waited this long to read it! 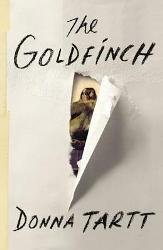 I’ve also started reading The Goldfinch by Donna Tartt. Finally! I’ve had a copy collecting dust on my shelves ever since it came out… So I guess it’s about time. It’s too early on to form a proper opinion about it though. I absolutely loved both last two reads and given them 5 stars each… It’s been a while since I had two amazing reads in a row! I Hunt Killers by Barry Lyga is a creepy, disturbing but amazing read. It ends with a cliffhanger that makes me want to read the sequel ASAP! 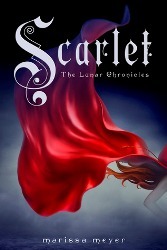 Scarlet was just as great as Cinder or maybe even better, and I will definitely try to read the rest of Marissa Meyer‘s The Lunar Chronicles VERY soon. I have been saying that I am going to read either my TBR jar pick The Kings Of Cool or The 5th Wave next for the past two weeks… But apparently that isn’t going to happen. To be honest, I don’t have a clue what to read next. Maybe Masquerade by Kylie Fornasier for the When Are You Reading? challenge? This entry was posted in Book Memes, WWW Wednesdays and tagged barry lyga, book memes, donna tartt, i hunt killers, kylie fornasier, marissa meyer, masquerade, r.j. palacio, rick yancey, scarlet, the 5th wave, the goldfinch, wonder, www wednesdays by Yvo. Bookmark the permalink. 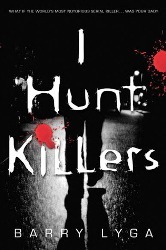 Heading over to Goodreads to put I Hunt Killers on my TBR… at this rate I’ll probably get to it around Christmas! (jolly festive reading! haha!). I’ll be interested to hear what you think of The GoldFinch. I haven’t gone back to Donna Tartt since reading the (much hyped) Secret History and being disappointed. I have had my copy for ages as well, but I’m glad I’ve finally picked it up. Hopefully it will life up to expectations! Yay, I Hunt Killers! I need the next book ASAP too. The ending was just insane! I know! I remember staring at the last page thinking: ‘it cannot end this way!’. I’m definitely going to try and read Game ASAP. I am impressed that you’re reading The Goldfinch. That book intimidates the hell outta me. I hope you enjoy it! I guess that is one of my reasons of not picking up my copy of The Goldfinch sooner… I’ve only just started it, but so far it’s interesting. I Hunt Killers is SO good! 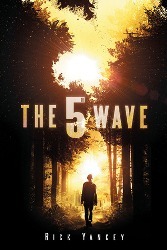 Definitely worth reading… 😉 I can’t wait to start reading The 5th Wave some time soon! That’s great to hear! 🙂 Thanks! Glad you’re still working on When Are You Reading! I’m getting close but still have some books to get through. I’ve heard so many good things about Wonder. Glad to hear you’re enjoying it. Happy reading and thanks for participating in WWW Wednesday! I still have to fill the four earliest periods, but with Masquerade I will be neading one book less to finish the challenge… Wonder is such a great read so far! I really need to read the rest of the Lunar Chronicles. I loved Cinder, but never read the other books in the series. 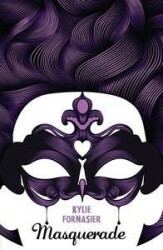 Also, I’ve never heard of Masquerade by Kyle Fornasier, but I am in love with that cover! It is amazing! I loved WONDER!! It was so good. Goldfinch is collecting dust in my room right now. Enjoy your books!